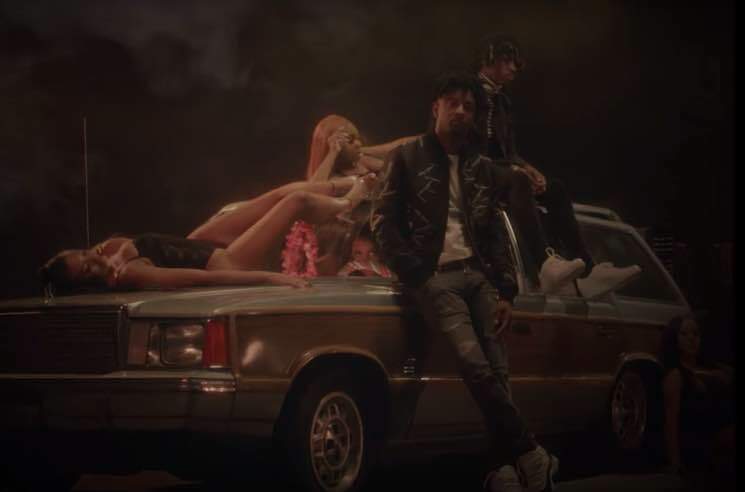 After joining forces for Not All Heroes Wear Capes cut "10 Freaky Girls," Metro Boomin and 21 Savage have reteamed to treat the track to a music video. As the song title implies, there are plenty of scantily clad women throwing themselves at the producer and rapper. When they're not lying in piles of ladies or leaning against a wood-panelled station wagon, Boomin and Savage mean mug at the camera against a stark black background. Unfortunately, the yacht 21 Savage repeatedly references in the chorus doesn't make an appearance. Watch the video for "10 Freaky Girls" below.